Brilliant light gold color. Citrusy, clean, creamy, fresh, floral aromas and flavors of pineapple, sweet cream, and saffron with a round, vibrant, dry-yet-fruity medium-to-full body and a warming, nuanced, medium-long finish that shows suggestions of shaved coconut, apricot, and toasted pine nuts with soft, silky, well-integrated tannins and light oak flavor. A delicious and lengthy chardonnay that wlll have you begging another sip. 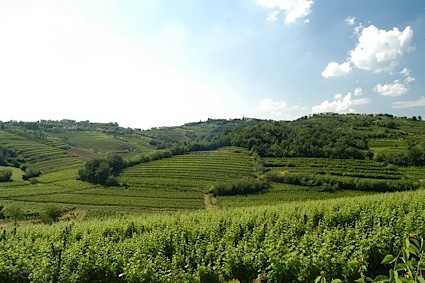 Bottom Line: A delicious and lengthy chardonnay that wlll have you begging another sip. 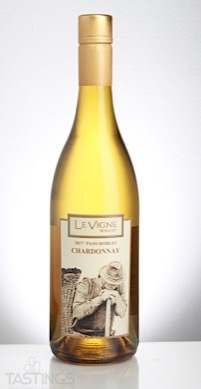 Le Vigne 2017 Chardonnay, Paso Robles rating was calculated by tastings.com to be 92 points out of 100 on 3/14/2018. Please note that MSRP may have changed since the date of our review.